Thanks for coming along with me on a journey to review the Leica 8×20 Waterproof Monovid Monocular. Leica is pretty well known for its quality optics, so I was curious to see how this small, but expensive, monocular would stand up to that reputation. Let’s have a look, shall we? First, let’s look at the dimensions of the monocular. This thing is tiny enough to easily slip into your shirt or pants pocket, measuring just 1–13/32 inches in diameter by 3–27/32 inches in length. With the close up lens attached, the length of the monocular is 4–1/8 inches. The weight is less than a quarter of a pound without the close up lens, or a bit more than a quarter of a pound with the close up lens attached. Eye relief is 15mm, so it should be comfortable to use with or without eyeglasses. The accessories are expertly crafted and comfortable to use, and the close up lens is perfect for those times you want to get a really nice view of something in your back yard with a macro lens. It basically turns your monocular into two different optical devices, one for long range viewing and one for almost microscopic viewing. How Powerful Is This Monocular? The 20mm objective lens on the Leica Monovid provides you with 8X magnification, in a view that is astoundingly clear and crisp. The resolution and contrast are fantastic, giving you the feeling of truly being up close and personal with what you’re observing. The monocular gives you a field of view that is 330 feet wide from 1,000 yards. The close focusing distance of the monocular itself is 6’11", but if you screw on the included close up lens you can achieve a macro effect and get a close focus on objects as near as 11 to 12 inches. How Good Are the Optics On the Leica 8×20 Monovid Monocular? 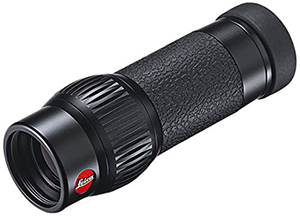 The Leica Monovid 8×20 uses a roof prism design, with BaK–4 prism glass using phase correction coating P40. The prisms are also treated with Leica’s High Lux System, which combines with the phase correction coating to provide optimum resolution, contrast, and light transmission through the prisms. The lenses are fully multi-coated, and also include a water repellent Aqua-Dura coating on the outer lenses to repel dust and water. Overall, I was quite pleased with the quality of the optics, and feel that Leica has definitely put the time and investment into this monocular to justify the high price tag. The price tag is really my only complaint about the monocular so far. The focus ring is perfectly sized for use with or without gloves, and is expertly ridged to give you a good solid grip on the wheel. It moves smoothly, but with enough resistance to keep you from accidentally moving it. I’m easily able to use the Leica Monovid monocular one-handed, which is a nice thing. What’s the Body Like On the Monocular? Leica has constructed this monocular out of aluminum with a rubber shell. The texturing and stippling on the rubber is perfectly done, providing a great non-slip grip during any weather conditions. 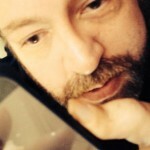 While the Monovid may be small, it certainly doesn’t look or feel cheaply made. Instead, it looks elegant enough to go to the opera, but feels sturdy enough to take hiking or hunting. How Durable Is the Monocular? And yes, it definitely is sturdy enough to take hiking or hunting. The Leica 8×20 Monovid is shockproof, waterproof to 3 meters, and fogproof. I’ve accidentally dropped mine several times, and there was no damage done at all. The monocular is practically bulletproof and very well-suited to everyday use. How Well Does the Leica Monocular Work in the Field? This monocular is a dream in the field, with one exception: it’s actually too light. I have slightly shaky hands, so it is difficult to keep a steady view without bracing myself against something. If the monocular was heavier, it would actually be more effective for use out in the bush. I’m sure it’s great at a sporting event or concert, where a bit of movement is okay, but for birdwatching or observing other wildlife, it can be a real challenge to keep the monocular steady enough to have a good look at your subject. Thanks for reading this review of the Leica 8x20 Monovid Monocular. This is a great little optic, if you have steady hands and can afford it. If your hands are shaky, though, you might want to look for something that’s slightly heavier to prevent unsteady views.